Kawakawa is a truly unique place! The town, which lies to the southwest of Paihia in the Bay of Islands, brims with charm, though its latest claim to fame is somewhat unorthodox. 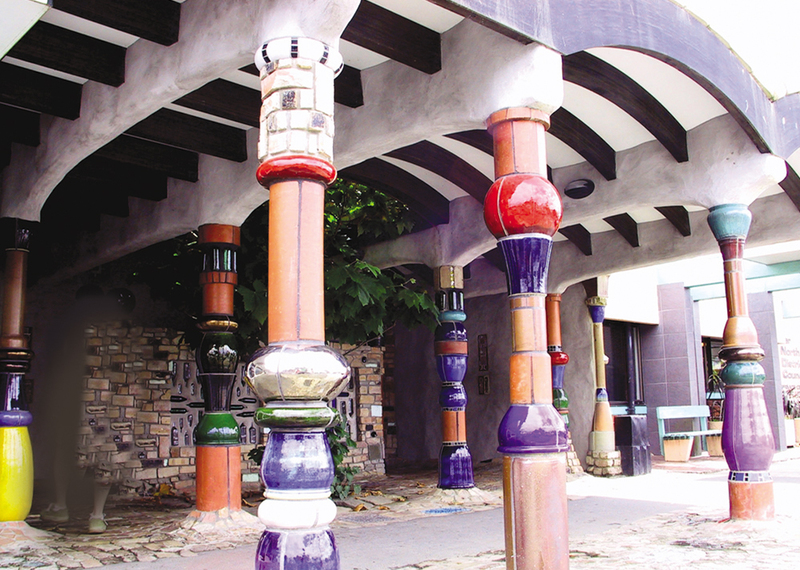 Fans of the famous Austrian designer, Friedensreich Hundertwasser (or public toilets for that matter) may already know the small town of Kawakawa, having been awarded the much coveted Golden Plunger award. The award, given in honour of the Austrian’s only building in the Southern hemisphere, denotes the world’s best public toilets, as voted for by a globe-trotting public! What more could a visitor require? Aside from its decidedly quirky claim to fame, Kawakawa is a quirky little town. The famous steam train which runs through the centre of town every weekend, affectionately known as ‘Gabriel’, is a huge attraction, bringing visitors from around Northland, and further afield, for the most relaxing way to see both Kawakawa and the most beautiful local scenery. Again, this has heralded a claim to fame for Kawakawa, New Zealand’s only railway that runs through the central business district, though I am certain that no visitor to Kawakawa has been convinced by that statistic! The absolute charm of the train however, has undoubtedly enticed many tourists. Kawakawa is the perfect stop for a relaxed tour of the Bay of Islands. The town itself is an quiet place to stay, where time seems to stand perfectly still. The Kawiti Glow Worm Caves are a fascinating place to visit, but it is the town’s bizarre architecture that really appeals to visitors. Located on the edge of the Bay of Islands, Kawakawa is an exceptional jumping off point for tours of all that the Bay of Islands has to offer. Located just 20 minutes inland from the Bay of Islands activity hub, Paihia, Kawakawa could not be better placed for access to both the famous coastline and the beautiful inland scenery. The pristine Kauri Forests are a huge attraction to the area, with numerous accessible trails that show the best of the landscape, including the ancient ‘fathers of the forest’; vast Kauri trees, some of which are over 10 metres in diameter. However, it is the Bay of Islands’ coastline that really has the tour guides bulging. The bays rich sea life is astonishing, known as the Marlin Capital of New Zealand. Deep sea and game fishing does not get better that the fishing off the Bay of Islands, and chartered fishing boats can be joined from Paihia wharf. Local captains know the best spots, and will be able to land you right in the heart of Marlin territory. Despite the exceptional game fishing, the Bay of Islands is more famed for the opportunity to swim with dolphins. A lifelong dream for many, daily trips head out into the bay in search of the resident dolphin pods that thrive in the rich waters surrounding the 144 islands that give the area it name, and again, it is Paihia wharf that you will find the opportunity to join a trip.